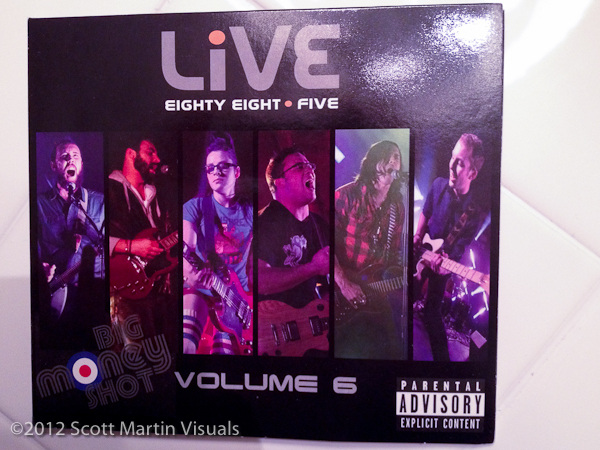 After another successful Big Money Shot last year, LiVE 88.5 has once again put together another compilation CD. I am proud to say that once again, the station has featured my photography on the cover and inside jacket of the CD! Thanks LiVE!! This year’s CD features a song from each of the top 15 bands. Each of these tracks was written with a successful recording artist and then recorded as part of the competition. Fans and radio station listeners were then asked to vote on the tunes, to help determine who made it to the top 6. There are some great songs on here. 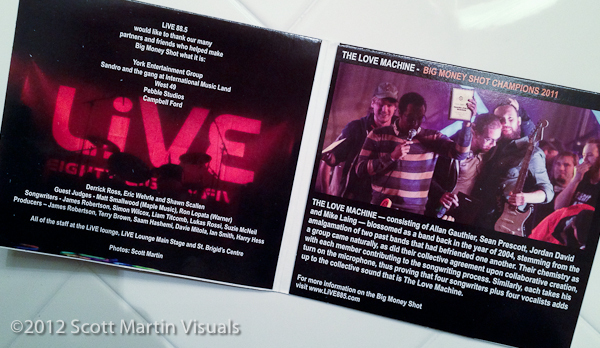 Grab yourself a copy the next time your at an event sponsored by LiVE 88.5 if they happen to be handing them out. Posted on October 18, 2012 March 20, 2013 by Scott. This entry was posted in Blog and tagged Big Money Shot CD, LiVE 88.5. Bookmark the permalink.